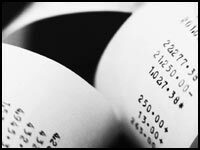 Find out more about our accounting services. Find out more about our taxation services. Find out more about our small business advisory services. At Tax Accountants Australia, we provide ethical, innovative, proactive and constructive accounting, taxation, compliance, SMSF and business advisory services and we are a firm of CPA Tax Accountants and Registered Tax Agents. Our experience enables us to deliver some of the best business and tax advice. We also offer quick and easy preparation of tax returns and maximise deductions and focuss on achieving the maximum potential tax refunds. We also provide specialist tax and accounting advice for expatriates, based locally or internationally and also include LAFHA Australia (Living Away From Home Allowance) as part of the consideration. Take advantage of our small business accounting services during which we will help you to refine your needs and consider an accounting, advisory and tax planning solution for you or your small business going forward. Call us on 1300 889 848 and let us help you solve your accounting or tax problems. Tax Accountants Australia tax professionals are registered as a Tax Agent with the Australian Taxation Office (ATO) and our accountants are full members of the Certified Practising Accountants (CPA Australia) Organisation. Tax Accountants Australia offers competent, prompt and professional service in the traditional areas of taxation, accounting and bookkeeping services, audit services, financial reporting/compilation services, business solutions and management consulting services. Our taxation and accounting services include preparation of financial accounts, preparation and lodgment of all types of tax returns, auditing of financial statements, company secretarial / ASIC forms and incorporation advice, and offer free tax advice and tax planning during the initial consultation. Tax Accountants Australia tax agents and CPA accountants are specialised in all facets of Australian taxation and accounting practices and offer our clients a broad level of expertise in the fields of accounting and taxation and other related fields. Contact one of our tax agents or CPA accountants to explore in detail how you may benefit from our expertise.